The purpose of terror is to terrify. At this point, the details of the terror attack in Nice are still unknown. We still do not know if these were jihadists. However, it seems likely. Each attack is different in some detail, but it is not unreasonable to assume that it was. Assuming that, it is important to understand why Islamic State is doing this. Its goal is to construct a multinational caliphate, uniting Islamic countries under a single state. In order to do that it must unite Muslims. In order to unite Muslims, it must give them an unmistakable enemy, that only unity can defeat. At the moment there is no such enemy that would force Muslims to unite. IS wants to create one. Lenin said that the purpose of terror is to terrify. The creation of terror can cause any population to demand protection from such attacks. IS is a sparse global network operating covertly. It is difficult to identify its soldiers, and therefore difficult to destroy them. A purely defensive posture, protecting airports and buildings, won’t work. In this case, the offense has a substantial advantage over the defense. The defense can’t be everywhere. Therefore, the offense can identify gaps and exploit them. Populations cannot live their lives constantly under threat. Multiple attacks like the Nice attack can terrify a population over time. It is not an irrational fear. The whole point of terrorism is to take the population to the point where fear is the only rational response. When that happens, there are political consequences. First, governments that have spoken of prior tragedies but have not prevented further attacks become delegitimized. Second, there is no moderate response that could work – only extreme ones like mass deportations, or worse. Given enough terror, unthinkable results can be generated. This is precisely what IS wants to achieve. It wants a response so overwhelming it will unite Muslims everywhere. The strength of IS strategy is that it leaves the defenders an impossible decision. No moderate defense is possible. Any extreme response by France or the West will create a response in the Muslim world that would benefit IS. The fact that there have been relatively few catastrophic events like Nice has kept the pot from boiling over. It may be that IS doesn’t have enough operatives or that Western intelligence is detecting and destroying cells. But if the number increases, then the only reasonable response will be fear, and fear demands action. It becomes an irresistible force. The brutal fact is that IS has not hit the tripwire on extreme fear yet, which means the likelihood of more frequent attacks is high. FRANCE was just breathing a sigh of relief. It hosted the Euro 2016 football competition without suffering a terrorist assault of the sort that jihadists had staged in Paris in November and Brussels in March. France says it is at war with Islamic State (IS) and its ilk, and intelligence officials feared the tournament would be the next target; some 90,000 security forces were deployed to protect football fans at ten different venues across the country. Yet it ended without serious incident. 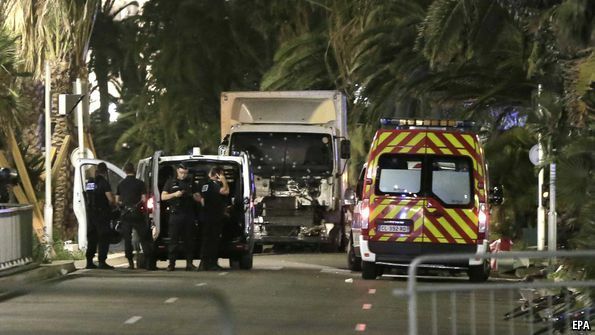 But late on July 14th, as crowds in cities across France celebrated Bastille Day with fireworks displays and concerts, the next attack did come—this time in Nice, a southern coastal town packed with holidaymakers. 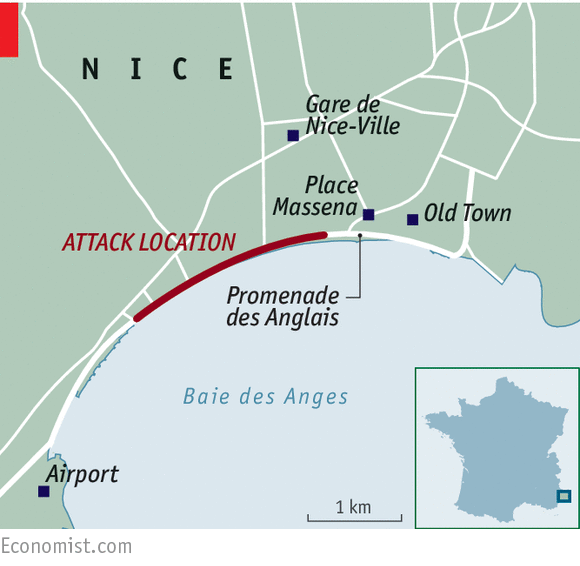 Witnesses described how the driver of a large white lorry deliberately rammed crowds on the Promenade des Anglais, zig-zagging for 2km (1.24 miles) to kill as many people as possible (see map). “I saw bodies flying like bowling pins. I heard sounds and shouts that I will never forget,” said one journalist at the scene. “Around me people were running, shouting, crying. Once I realised what was happening I ran with them.” Police marksmen eventually shot the driver dead, riddling the cab with bullets. News reports suggested that at least 77 people were killed, and over 100 injured. That would make the attack in Nice the second-worst terrorist assault in France’s recent history. Only the attack in Paris in November, in which 130 were killed, was deadlier. Hijbul Mujahedeen (Party of Holy Warriors) is a terrorist organization founded in 1989 at Muzaffarabad in Pakistan Occupied Kashmir (POK) fighting a low intensity proxy war against India for the secession of Kashmir. This outfit has long been declared as a terrorist organization by European Union and United States of America. However, for Pakistani establishment they are ‘freedom fighters’ and Pakistan is deeply anguished at the death of its Kashmiri Commander Burhan Wani at the hand of security forces. Nawaz Sharif’s office said in a statement, “the Prime Minister of Pakistan has expressed his deep shock at the killing of Kashmiri leader Burhan Wani and many other civilians by the Indian Military and paramilitary forces”. Burhan Wani was a ‘good terrorist’ for Pakistan, not as the bad terrorists who killed innocent children at Peshawar school. The world is really helpless against terrorism because every other terrorist organization has one or more countries extending covert or overt support to them. There are different interpretations of terrorist activities by the countries suiting their geo political interests. Earlier Organisation of Islamic Countries (OIC) in its 13th summit held in Istanbul (Turkey) on 14-15 April, 2016, had reaffirmed its ‘principled support’ for the people of J&K and demanded plebiscite. Ironically OIC consists of UAE and Saudi Arabia both of which had jointly pledged with India to deal with terrorism during the recent tours of Prime Minister Modi to these countries. NATO members gathered in Warsaw over the weekend to broadcast their plans to increase the alliance's presence along Europe's eastern flank with Russia. As expected, the 28-member bloc agreed to station four battalions of as many as 1,000 soldiers each (the United States, Germany, Canada and the United Kingdom will each lead a battalion) in Poland, Latvia, Lithuania and Estonia on a rotational basis starting in 2017. The rotational deployments by themselves will not fundamentally upset the military balance between NATO and Russia, and they lack the permanency that Poland and the Baltic states were hoping for. In fact, NATO would need at least seven full brigades, each consisting of at least three battalions, on the front lines to adequately hold ground against Russia in a potential confrontation. Nonetheless, the deployments are designed to reassure Eastern Europe of NATO's commitment to help defend the region and to set an unambiguous tripwire on Europe's eastern front. Russia scoffed at the affair in Warsaw, accusing NATO of creating more instability over an "imaginary" and "nonexistent" threat. With legislative elections approaching in September, the Kremlin wants to avoid looking weak at home as NATO pushes deeper into the former Soviet sphere. Still, Russia can try to make the most of it. While controversy mounts about the Chinese claim to most of the South China Sea, Beijing’s also got plans to spread its influence on the old Silk Road to Europe. HONG KONG — China’s ambitions at sea have been much in the news of late. On Tuesday, a tribunal in The Hague rejected Beijing’s “historic claims” to vast swathes of the South China Sea and the resources beneath. If, as expected, it keeps trying to create facts (and islands) there, tensions are going to rise and so will American demands for freedom of navigation. But China’s expansionist ambitions on land also are intriguing: an attempt to build and extend its markets by exploiting its historic connections to the old Silk Road that once ran from China to the West. And at the center of the project is a network of modern railroads stretching through the old Soviet ‘Stans to Iran and on to Europe. At the Shangri-La Dialogue held in early June in Singapore, Chinese delegates were briefed to sermonize as much as they could about One Belt, One Road. This served two purposes: to promote President Xi’s vision of a world connected by Chinese infrastructure, and to avoid addressing the conflict stemming from China’s geopolitical ambitions in the South China Sea. ** It’s Getting Harder to Define Military Readiness. Here’s What to Do About It. Planners and evaluators must try to anticipate how threats and operating environments will change during a deployment. Accurately defining expected threats and resourcing the military to counter them is the sine qua non of military readiness. As threats and operational environments rapidly evolve, they make it harder to define, measure, and produce the desired levels of military readiness. For instance, if the U.S. military is fully resourced and adequately trained to fight a modern mechanized military in relatively open terrain, it will be regarded as ready to conduct this particular kind of warfare against this type of adversary. But if a similarly resourced and trained force is instead called upon to fight a prolonged insurgency in an urban environment—as happened in Iraq following the 2003 invasion—it will be somewhat less than ready for this mission, since fighting an urban insurgency stresses a different set of skills, equipment and capabilities than does fighting a mechanized force. Preparing for both types of adversaries, or some combination of the two, is a challenge, as indicated by recent comments and testimony on the subject of military readiness. On a recent trip to Africa, Army Chief of Staff Mark Milleyindicated that the U.S. military’s emphasis on fighting terrorists and insurgents over the last 15 years has eroded its capacity to counter more traditional, high-end threats. His statement echoes that of former Army Chief of Staff George Casey, who made the case in the 2008 U.S. Army Posture Statement that a combination of a high operational tempo and focus on counterinsurgency operations, to the exclusion of other necessary capabilities, had resulted in an Army that was out of balance. This erosion of capability and lack of balance in the midst of budget cuts has helped lead to a less-than-prepared military, according torecent congressional testimony on military readiness levels across the services. Along with Kashmir, the Naga imbroglio has the dubious distinction of being the longest-running conflict in independent India. The handling of insurgencies by the country, and especially the Naga insurgency, has followed a pattern of ‘military pacification’ followed by ‘political purchase’. A clear, firm, comprehensive and innovative approach is required for resolving the conflicting and divergent stands for achieving any final or lasting solution. The passing away of Isak Chisi Swu, co-founder of the National Socialist Council of Nagaland (NSCN), on 28 June has brought back into focus the issue of settlement of the ‘Naga Problem’. He was a signatory to the Framework Agreement signed by the Prime Minister last year, generating hopes of a settlement. Along with Kashmir, the Naga imbroglio has the dubious distinction of being the longest-running conflict in independent India. The Naga conflict is a colonial legacy. It has its roots in the Treaty of Yandebo of 1826 when the British demarcated the boundary between India and Burma, and between the Nowgong district of Assam and the kingdom of Manipur. British commercial interests dictated further ingress into Assam and the consequent consolidation and administration. The Naga areas, on the other hand, held no commercial opportunities or security threats and were conveniently left alone. To those who are observing unfolding the spiral of violence in the Kashmir Valley in the past week, the scenario may appear ironic. Estimates indicate that the number of active militants in 10 districts of Kashmir is 140 with 90 indigenous youth of which 65 are from South Kashmir. These numbers seem adequate to raise a surge of revolt resulting in anarchy in the Valley after Hizbul Mujahideen terrorist leader Burhan Wani was shot dead by security forces in an encounter on 8 July should set the alarm bells ringing in the right quarters. Officials were quick to claim that the killing of Burhan Wani was a major success in countering, “militancy,” in the Valley. The surge of protests was seen as a reaction to the death of a local boy which would be managed though the spiral of violence continues with many lives have been lost in clashes with security forces. Much more have been maimed with the loss of eyesight looming large on the horizon for youth who faced the non-lethal pellets. Thousands of tourists include those attending the Amarnath Yatris were stranded; their sojourn tragically cut short or disrupted. 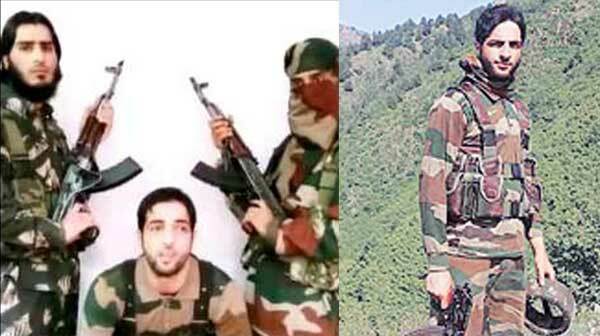 The wave of violence cannot be merely explained as a spontaneous reaction to the killing of a local militant commander who carried a reward of Rs 10 Lakh on his head, someone who had acquired a larger than life image in the youth in Kashmir, which permeated across the people at large. The trend where large scale protests have been held across the Valley even when encounters have been on for the past six months cannot be overlooked. This is invariably followed by the large turnout at funeral processions of terrorists killed including foreigners. Last week at the White House, the president announced his decision regarding troop levels in Afghanistan through the remainder of his term of office. Let me translate his words into the reality of what the decisions mean on the ground. In sum: I’m going to claim my eight years in office achieved success and kept the country safe; I will do whatever it takes to make sure the Kabul government doesn’t collapse between now and January; and I will punt it to the next president. Below are the four key passages of the president’s speech and my commentary on the reality of each situation. Over past twelve months, the Afghan National Defense Security Forces (ANDSF) have struggled mightily in the field, suffered record casualties and lost embarrassing battles to the Taliban. Dropping U.S. force levels by more than one thousand is not going to “continue” helping the ANDSF to improve. It will make the already-tiny U.S. contingent even less relevant to events on the ground. 8,400 troops will ensure Kabul doesn’t fall to the Taliban, but little else. In the aftermath of Bangladesh’s 9/11 and the killings of twenty innocent people at the Holey Artisan Bakery, Bangladesh is at crossroads says Kayes Ahmed on July 9 in his opinion piece in www.bdnews24.com. What choice Bangladesh makes now will determine the future of the country and its 150 million people. Whether the country and the government adapts a transparent policy position, gives up silly pride and petty politics, or whether the government will continue to obfuscate and play politics will determine if the country can emerge from this crisis a healthier and stronger country, said Ahmed. According to Ahmed, the signs are not good, however. He quoted that the Home Minister Asaduzzaman Khan told AFP that all six killed by the Army in the “rescue” operation are members of Jamat e Mujahedeen Bangladesh (JMB), a long-banned organization with no ties to ISIS or Al Qaeda! Ahmed believes this was a home grown operation, despite the fact that all of the attackers had their pictures sent in advance to ISIS to be published in their news outlet, and that ISIS was touting that twenty infidels were killed long before the raid even started. In his opinion piece in www.bdnews24.com Ahmed mentioned that there is a boatload of evidence that the attack was coordinated, planned and executed by handlers who are not twenty-somethings in the midst of existential musings of the ordinary youth. The attackers made up in zeal as well as dedication what they lacked in actual training. Their instructions and command and control were precise and brilliant. Therefore, the Honorable Home Minster is either missing the obvious or is in denial! Either possibility is terrible for the country. www.bdnews24.com says that the Prime Minister in her address to the nation and the world came out and blamed local and international conspirators. She did not even mention IS or the Islamic Jihadists! She then took a swipe at the media for live broadcasting, said Ahmed in his opinion piece. It would seem that for once she should stop being political and put the country’s wellbeing in the forefront. The signs are not good, but maybe, just maybe, good sense will prevail. She says, “have faith in us”. We all want to but the opaqueness of her policy makes it very difficult, feels Ahmed. Make no mistake. Says Ahmed in his piece in www.bdnews24.com this is Bangladesh’s 9/11. How the country reacts will determine its place in the world. The country is now solidly in the front lines of the War on Terror. Letus take a quick look at how the policy of petty politics cost the world twenty lives and brought the country to the precipice. TAIPEI, Taiwan – Six retired and active military personnel were recently arrested over accusations of working as spies for the mainland Chinese authorities, targeting confidential Taiwanese military information, the Kaohsiung District Prosecutors Office (KDPO, 高雄地檢署) announced. The six suspects — including a chief suspect surnamed Chuang (莊), a retired soldier — were arrested during recent raids conducted at 11 locations in Kaohsiung City, Pingtung County and Tainan City, according to the KDPO. Following interrogations, the KDPO said the Kaohsiung District Court had approved its application to have Chuang placed in custody for alleged violations of the National Security Act (國家安全法) in the fear that he could flee to the other side of the Taiwan Strait. Five other suspects, including an active soldier surnamed Chu (諸), retired soldiers surnamed Chen (陳), Mou (牟) and Liu (劉) were released on bail. Another suspect, Shih (師), was released without bail. A Chinese businessman who admitted taking part in the hacking of US defence secrets has been given nearly four years’ jail. Su Bin, 51, was convicted of taking part in a years-long scheme by Chinese military officers to obtain sensitive military information, targeting projects including the F-22 and F-35 fighter jets and Boeing’s C-17 military transport aircraft. In addition to the 46-month prison term, a US district court judge in Los Angeles ordered Su to pay a $10,000 fine. Su also went by the names Stephen Su and Stephen Subin. “Su assisted the Chinese military hackers in their efforts to illegally access and steal designs for cutting-edge military aircraft that are indispensable to our national defence,” said John Carlin, assistant attorney general for national security. The Chinese government has repeatedly denied any involvement in hacking but the US says there is ample evidence. But Su’s spying activities have been openly lauded in China where the state-controlled media has described him as a hero. Pampore (Srinagar- Kashmir) terrorist attack on 25 June 2016, allegedly by LeT (Laskar-E-Taiyaba) operatives, is a reflection of a Pakistan’s Military Establishment’s gleeful self – admiration of the effectiveness of its “Full Spectrum Deterrence” (FSD) strategy. No wonder, then, Pakistan’s Ambassador to India, Abdul Wasit, was reported to have dismissed an India journalist, who had asked him on his reaction on Pampore attack, by saying that it was time to have “Iftaar Party” than discuss Politics. Even Pathankot Air base attack on January 02, 2016 was a demonstration trial of its “Full Spectrum Deterrence” or FSD strategy. …CRS report has recently observed that chances of a nuclear conflict are more likely now because of aggressive and offensive attitude of Pakistan towards India. After Pampore attack, Indian Home Minister, Sh. Raj Nath Singh was reported to have reacted by saying that India would make sure not to fire the first bullet, but even if one bullet was fired from Pakistan’s side, India shouldn’t even think about keeping a count on the bullets it would fire. Pakistan dismisses such threats as empty words because it thinks it has checkmated India from reacting violently because of FSD. So, what is FSD or ” Full Spectrum Deterrence”? To understand this, we got to understand certain naked facts. It is a known fact that India and Pakistan are two Nuclear weapon states with mutual animosity and hostility stretching over the last 69 years. Any nuclear exchange/ conflagration between them will lead to unacceptable damage on both sides. It is called MAD- Mutual Assured Destruction. But the probability of a nuclear conflict can not be ruled out. So, what is the probability of such an exchange? What does the South China Sea ruling mean, and what’s next? The much-awaited rulings of the Permanent Court of Arbitration in The Hague—in response to the Philippines’ 2013 submission over the maritime entitlements and status of features encompassed in China’s expansive South China Sea claims—were released this morning. Taken together, the rulings were clear, crisp, comprehensive, and nothing short of a categorical rejection of Chinese claims. Among other things, the court ruled China’s nine-dash line claim to the South China Sea invalid because of Beijing’s earlier ratification of the United Nations Convention on the Law of the Sea (UNCLOS). In a move that surprised many observers, the court also ventured a ruling on the status of every feature in the Spratly Islands, clarifying that none of them were islands and hence do not generate an exclusive economic zone (EEZ). Significantly, it ruled that Mischief Reef, which China has occupied since 1995, and Second Thomas Shoal, where China has blockaded Philippine marines garrisoned on an old vessel that was deliberately run aground there, to be within the EEZ of the Philippines. Now that the rulings have been made, what are the implications and way forward for concerned states? WASHINGTON: After a UN tribunal ruled stingingly against Chinese territorial claims in theSouth China Sea, Beijing reacted with its characteristically prickly mix of grandiosity and insecurity. The official Chinese perspective inverts Washington’s worldview so thoroughly it can be hard for Americans to understand: International rules are rigged, US military presence is destabilizing, China rightfully owns the whole South China Sea and is being generous to let its lesser neighbors use it at all. When China’s ambassador to the US, Cui Tiankai, says benignly that “we are not trying to take back the islands and reefs that have been illegally occupied by others,” he’s referring to almost everything claimed by every other country in the region. Amb. Cui laid out Beijing’s point of view beautifully yesterday afternoon, speaking (in English) just hours after the UN ruling in an unscheduled appearance at a Center for Strategic & International Studies conference. We asked some leading experts to help us parse his remarks. 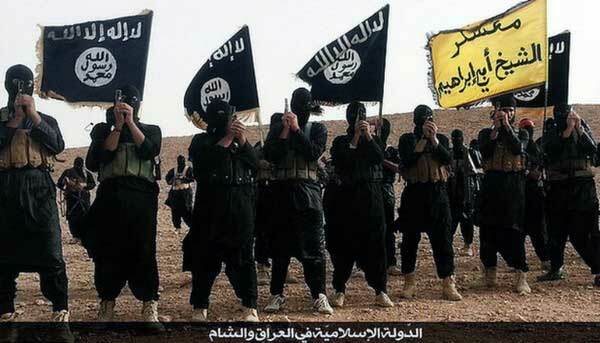 While the Islamic State (IS), the most dreaded terrorist organization, has lost sizable territory and fighters because of constant bombing by diverse forces, including United States and Russian, but the ideology of this terrorist outfit remains intact. IS, which is known as Dae’sh in Arabic, claims to establish a Caliphate (Islamic State) which will be governed by the Sharia law. It flourishes because of the rule of undemocratic and oppressive figures in many parts of the volatile Middle East and instability they have created in that part of the world. It also gains strength because of religious and sectarian tensions created to achieve petty gains. Although several countries are working against IS, but there is no cohesion between them. 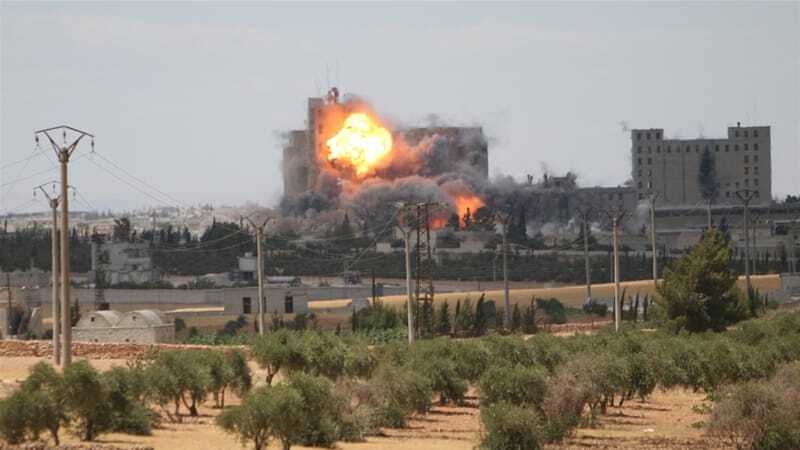 Both US and Russia are vigorously bombarding territories controlled by IS, but with different aims and objectives. IS which uses the internet and social media cogently, propagates that in Jihad (Holy War), whosoever attains martyrdom would straight way go to heaven where all desires would be fulfilled. Several fanatics who are thoroughly brainwashed readily act as suicide bombers and there is no dearth of terrorists who are ready to sacrifice their lives in the name of holy war. Congress’s funding of the fight against the Islamic State in Iraq and Syria (ISIS) amounts to a ratification of the president’s authority to pursue the war, the administration argues in a legal brief asking a federal court to dismiss a lawsuit that alleges the war is illegal. “The president has determined that he has the authority to take military action against ISIL, and Congress has ratified that determination by appropriating billions of dollars in support of the military operation,” Benjamin Mizer, principal deputy assistant attorney general, and Anthony Coppolino, deputy branch director of the Justice Department’s civil division, write in the brief. ISIL is the administration's preferred acronym for the terrorist group. “Congress has made these funds available over the course of two budget cycles, in connection with close oversight of the operation’s progress, and with knowledge of the authority under which the operation is being conducted,” they add. The memo, filed Monday in court and highlighted Tuesday night by The New York Times, provides new insight into the administration’s justification for being allowed to prosecute the war. The State Department “dissent channel” memo on the United States’ policy in Syria, leaked last month, is just the latest expression of a widespread belief in and out of government that American intervention in Syria is necessary and would be successful. After five years of brutal, grinding war, this view is understandable. The idea of the United States saving the Middle East from itself appeals to liberal hawks and neoconservatives alike. Unfortunately, when that notion has carried the day — as it did in Iraq in 2003 and Libya in 2011 — regional security and stability have worsened. Indeed, in light of Syria’s geopolitical circumstances, intervention along the lines suggested in the memo could produce consequences more dangerous than those of the two previous adventures. The memo’s authors and other interventionists fail to recognize that the United States in fact has effectively weakened President Bashar al-Assad already. In 2015, the administration’s aggressive covert action program facilitated significant gains for the opposition in northern Syria, exposed Latakia — the regime’s heartland — to attack, and diminished the Syrian military position in the northwestern province of Idlib. But these losses were also key factors in Russia’s decision to enter the Syrian fray after years of sitting on the sidelines. This gives the lie to the interventionists’ belief that “judicious” airstrikes could somehow disempower the Assad government, sap Russian resolve and improve prospects for a negotiated solution. Few have been more downbeat about the outlook for the U.K. economy than the country's own central bank governor, Mark Carney. If he wants to help mitigate the consequences of the vote to leave the European Union, he should send a more encouraging message by holding back on monetary stimulus. People charged with managing economies usually try to be optimistic, on the logic that their positive attitude will give people and businesses the confidence to spend and invest, ultimately making the optimism self-fulfilling. The rhetoric surrounding Britain's vote on EU membership has been a glaring exception. In a bid to influence the vote, a chorus of global policymakers predicted dire consequences. That chorus has sadly persisted. After voters chose to leave, the secretary general of the Organisation for Economic Cooperation and Development, Angel Gurria, reiterated forecasts of higher unemployment and permanent damage to household incomes. 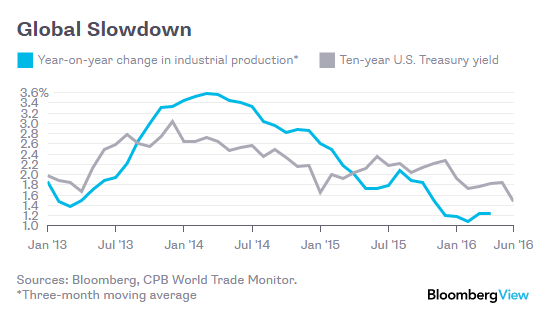 Christine Lagarde, managing director of the International Monetary Fund, said that the decision was “casting a shadow over international growth.” Yet Brexit’s shadow is hard to discern amid the broader global decline in output growth and interest rates that began in early 2014 (see chart). Perhaps no one, though, has been as active as Carney in stoking feelings of gloom and doom -- a particularly notable feat, given that central bank governors rarely make predictions of economic and financial turmoil, especially when it concerns their own currency. Few additional details have so far come to light surrounding the purported Indo-Russian discussions over procuring the supercarrier. India is still expected to officially announce a procurement tender for a heavy nuclear-powered aircraft carrier, 300 meters long and 70 meters wide and displacing 65,000 tons. 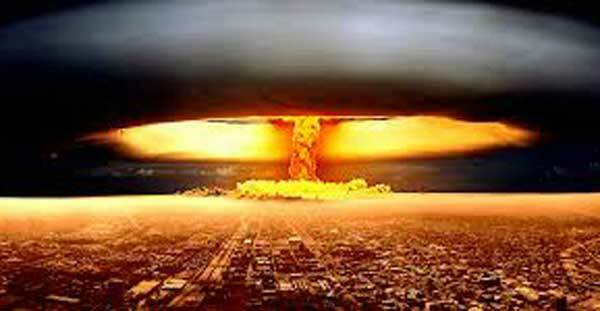 The United States first used nuclear weapons more than 70 years ago on Hiroshima and Nagasaki. Fearing the threat from massive Soviet conventional forces and possible large-scale use of chemical and biological weapons, U.S. military and political leaders decided to keep the option to use nuclear weapons first in a conflict. Today, the United States in the world’s dominant global military power and the Soviet Union is long gone. The Cold War-era policy of not ruling out nuclear first-use poses a grave risk to the security of the United States and is not suitable for today’s global security and political environment. The greatest threat to the United States and to any nation is from the enormous and indiscriminate destructive effects of nuclear weapons. It is in the interest of the United States that, as long as these weapons exist, all nuclear-armed states agree that the sole purpose of nuclear weapons is to respond to a nuclear attack by other nuclear-armed states and only when the survival of the state or one of its allies is at stake. It is time for the United States to adopt this policy. In a 2015 McKinsey survey, though, only 17 percent of directors said their boards were sponsoring digital initiatives, and in earlier McKinsey research, just 16 percent said they fully understood how the industry dynamics of their companies were changing.1In our experience, common responses from boards to the shifting environment include hiring a digital director or chief digital officer, making pilgrimages to Silicon Valley, and launching subcommittees on digital. A few years ago, US President Barack Obama made much of an American pivot to East Asia, a recognition of China's emergence and regional assertiveness, and the related claim that the American role in the Asia-Pacific should be treated as a prime strategic interest that China needed to be made to respect. The shift also involved the recognition by Obama that the United States had become overly engaged in Middle Eastern politics with very few positive results and that it was time to reset foreign policy priorities. The 2012 pivot was an overdue correction of the neocon approach to the region during the presidency of George W Bush that climaxed with the disastrous 2003 intervention in Iraq. It was then that delusions of "democracy promotion" and the prospect of a warm welcome by the Iraqi people hit a stone wall of unexpected resistance. In retrospect, it seems evident that the US has not disengaged from the Middle East. Its policies are tied as ever to Israel, and it is fully engaged in the military campaigns taking place in Syria and against ISIL (also known as ISIS). A scholar of the Icelandic Presidency swiftly became a Presidential front-runner. 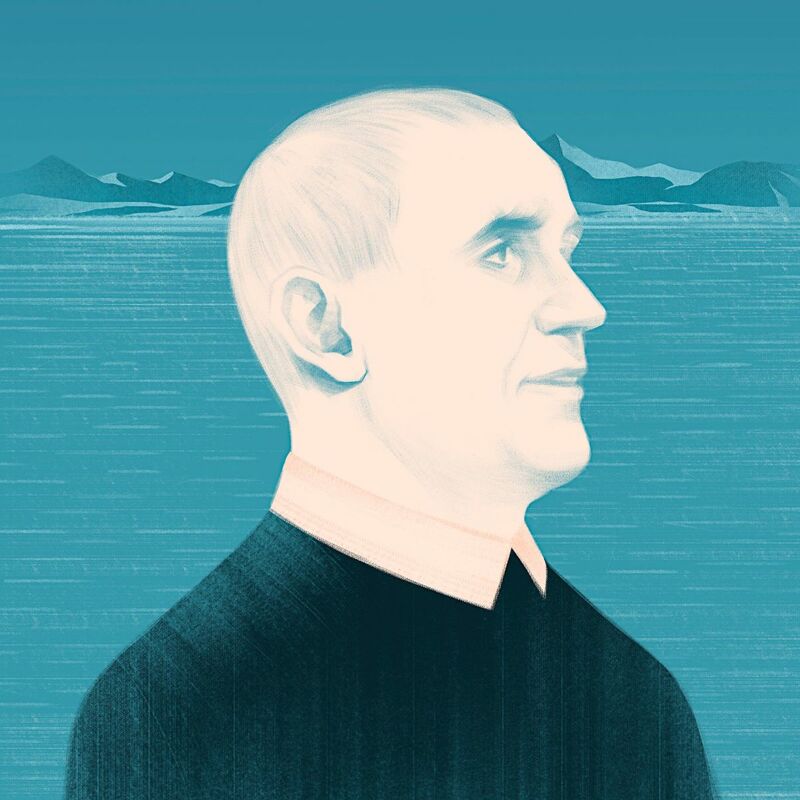 When I heard that the historian Guðni Jóhannesson was running for President of Iceland—not only running but entering the final weeks of the campaign as the clear favorite—I was intently curious to be present when and if he won. I had met Guðni a year or so earlier, when he delighted a busload of nervous novelists on a literary retreat in Iceland, during an all-day tour of local landmarks that took place on the coldest, windiest, foggiest day an Icelandic April could offer, with the bus neatly enveloped in milk. Guðni, serving as tour guide, mike in hand, kept his cool and his good humor throughout. “Here are the great parliamentary fields of the Thingvellir,” he said at one point, referring to Iceland’s famous early-medieval parliament, and gestured straight-faced toward a wall of white cloud. More impressive, he lightly detailed all the ways in which the myths of the monuments were and were not in accord with the facts of history, providing a detached view of what might be called Icelandic Exceptionalism, while still thinking it exceptional. I liked to tell people in New York that our tour guide was now running for President, though the truth is that he never would have been on the bus had his wife, the Canadian writer Eliza Reid, not been running the literary seminar—but, then, he was on the bus, he did have the mike, and he was giving a guided tour. I should add that, having married into a Canadian-Icelandic family (about a fifth of Iceland’s population decamped for Manitoba around a century ago, keeping their culture and their national pride intact), I wasn’t entirely unhappy to hear Icelandic exceptionalism debunked, if gently. I had long ago come to accept Icelandic particularities—the cooing voices, the long-winded family histories, the constant coffee consumption—but I’d also had the prideful bits drummed in (world’s oldest democracy, most literate nation, most successful welfare state) for so long that I could stand them being a little upended. Iceland, to be sure, is a country for which many Americans and English and Canadians have an outsized affection, not unlike that which some of the wizards in Tolkien, himself an Icelandic fanatic, have for the Shire. While recognizably part of our own Western world, the country is so islanded, so unlike anyplace we know in landscape and language, that it is possible to feel protective of it in ways that Icelanders themselves sometimes find encumbering.